This is a classic album from the late 60s that always gets forgotten, and I'm on a mission to change that! It's classical rock, really, very much of its kind. 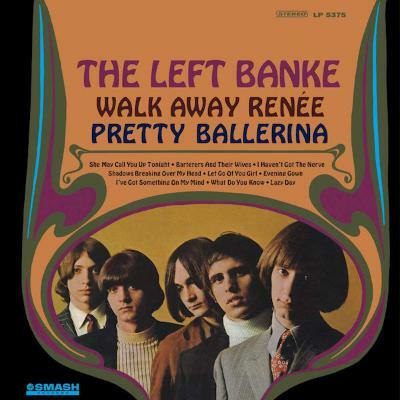 The Left Banke's keyboardist, Michael Brown, had a father that was a conductor or a composer or something like that who helped with arrangements [this was Harry Lookofsky, a bebop jazz violinist and symphonic orchestra player with classical training, who also co-produced 'Walk Away Renée']. I like the way he just throws in a flute. Apparently half the songs on this album are about Renée, not just the song everybody knows that got covered by the Four Tops. There were also various jealousies going on all the time within the band because nobody had decided whose girlfriend she was!